New Delhi is engulfed in a blanket of thick smog, which is unfortunately a common scenario faced by Delhiites every year during winter. As the mercury dips, exhaust fumes from approximately 7.2 million vehicles, construction dust, factory emissions, and soot from burning of agricultural waste give rise to smog. Staying indoors is not the solution as smog affects both indoor and outdoor air. Considering the increasing pollution, we at KENT provide best air purifiers in India that remove indoor air pollutants. In addition to using the room air purifier, you can also use technology to stay safe from harmful effects of air pollution. 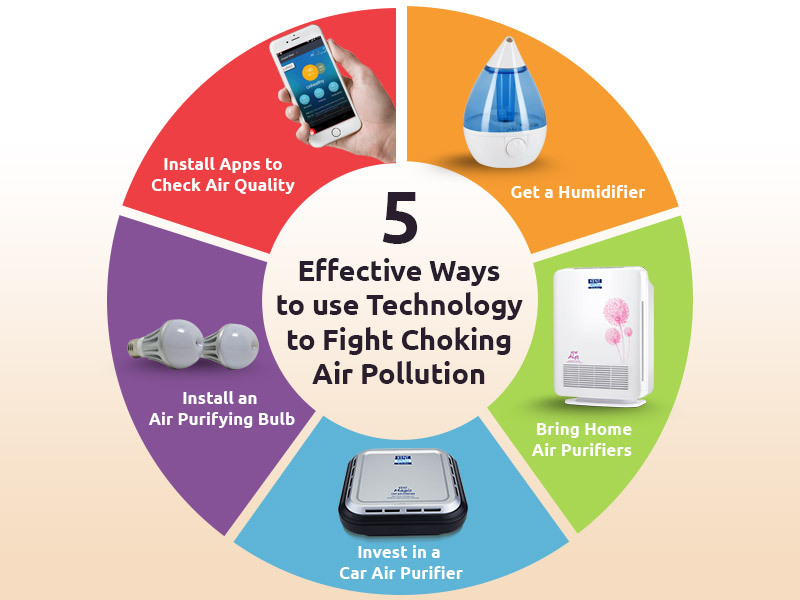 So, in this blog, we discuss 5 effective ways you can use technology to fight the choking air pollution. Checking the air quality when stepping out can be of great help. Considering the increasing level of air pollution, a number of apps have been developed to keep a track of the air quality index. Air Quality: Real time AQI, Plume Air Report, Air Quality India, Air Alert and Oizom are some of the common apps available on Google Play Store. Indoor air is 5 times more polluted and is the second largest killer as it leads to 1.3 million deaths every year. Installing HEPA air purifier is necessary for every home to deal with allergies, asthma and breathing problem due to air pollution. 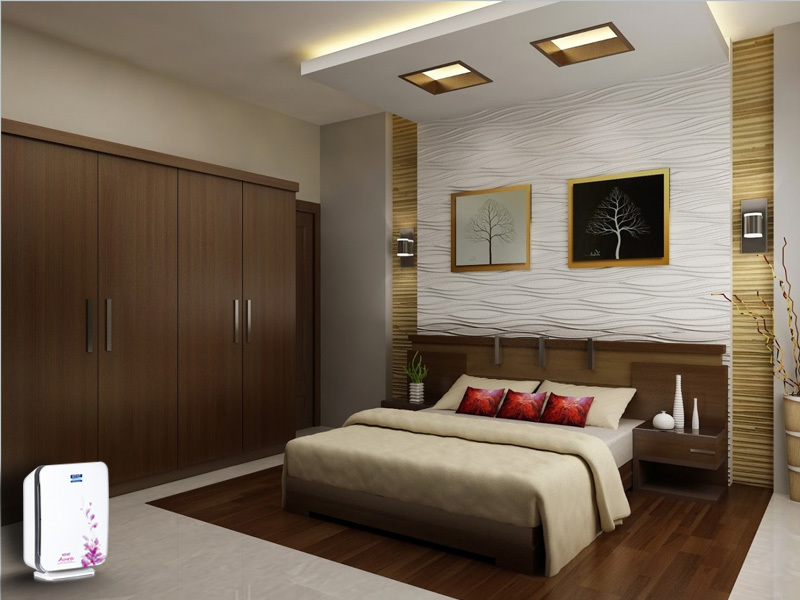 KENT provides a wide range of best room air purifiers which remove indoor air pollutants. The low noise air purifiers catch and trap 99% of the indoor air pollutants using three different mechanisms- Impact, Interception and Diffusion. The air in your car cabin is 5-6 times more polluted than outdoor air. If you travel on dusty roads or places laden with fumes regularly, invest in a car air purifier. 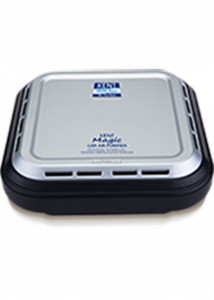 KENT provides top quality car air purifiers which use HEPA technology to effectively remove hazardous pollutants from your car cabin. The best HEPA air purifiers use a unique 3 stage purification process to remove 99% air pollutants. Air purifying bulb is an ionizer which emits negatively charged ions that attach to the pollutants present in the air. The negatively charged particles settle down on the floor as dust. Ideal for small areas, the air purifying bulbs remove dust, smoke from cigarettes, cooking materials and incense sticks. Humidifiers not only regulate the temperature during winter but also maintain humidity level. When the indoor humidity level is low, the negative impact of indoor air pollutants increase drastically. Humidifiers maintain humidity so that your nasal passages get the right level of moisture and get rid of allergens. The pollution levels reached was more than 10 times the safe limit in the last few days making it important to take appropriate steps to breathe safe. Whether you are worried about smog, stay near construction sites, or commute to polluted areas every day, the best air purifiers from KENT based on HEPA technology meet your specific needs. 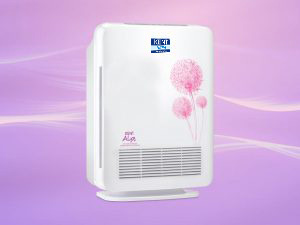 You can check out the collection of KENT HEPA air purifiers and take your pick to stay protected from air pollution.